Angola Blue Granite, Namibia Blue Granite, African Blue Granite or Blues in the Night Granite are just some of the names used to describe this natural stone. Blues in the Night Granite earns the name from its unique blend of blue crystal like minerals imbedded deep within the surface of the stone, giving an impression of blue stars in the night sky. 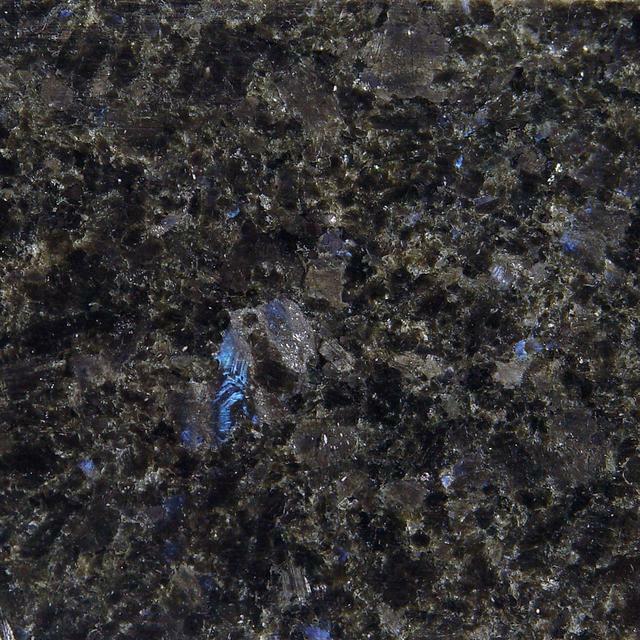 Blues in the Night Granite is a hard wearing dark coloured granite which originates from southern Africa. 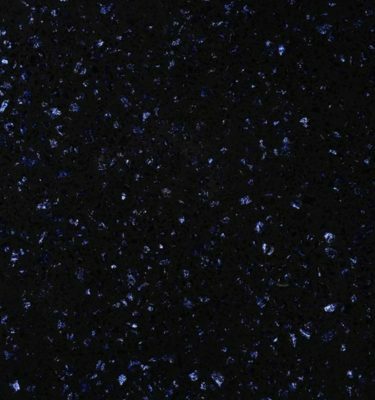 At a distance this highly polished surface can look almost completely black, however upon closer inspection you are dazzled by the natural beauty of the “blue stars” which add both character and depth to this popular blue coloured granite. 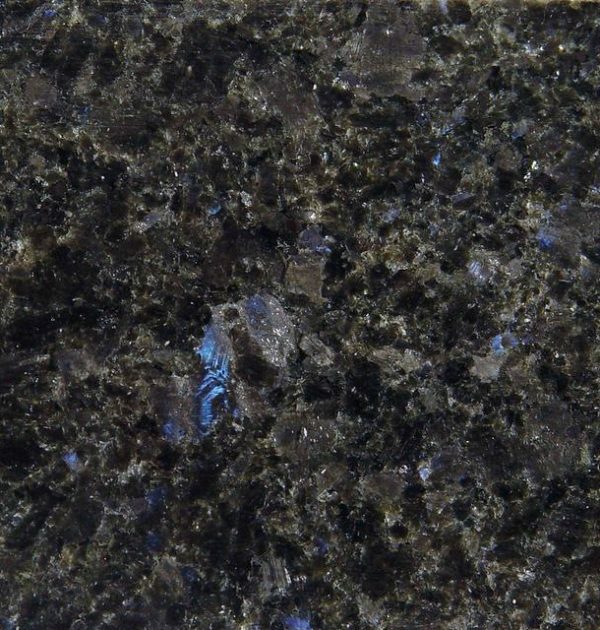 Blues in the Night granite is sustainably sourced from quarries in the southern regions of Africa such as Angola and Namibia and has been a popular option for homeowners, designers and architects in the UK for many years. 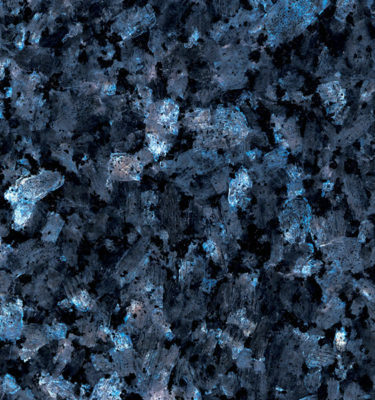 Are you looking for Blue Granite or Blue Quartz kitchen worktops? We have hand picked a select number of options such as Blues in the Night Granite on our website, the options on our website are based on our customer trends over the lat 12-18 months. The options for Blue Granite and Blue Quartz worktops on our website are by no means an exhaustive list so please feel welcome to contact us for alternative options. For further inspiration please view our Granite or Quartz worktops ranges. 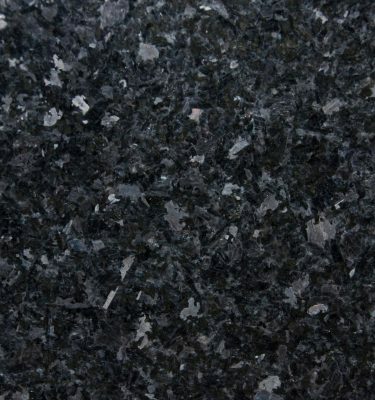 With suitable treatment, this blue granite can be used outdoors and well as indoors, so if you are designing an outdoor kitchen or barbecue area, Blues in the Night Granite would be a suitable option. 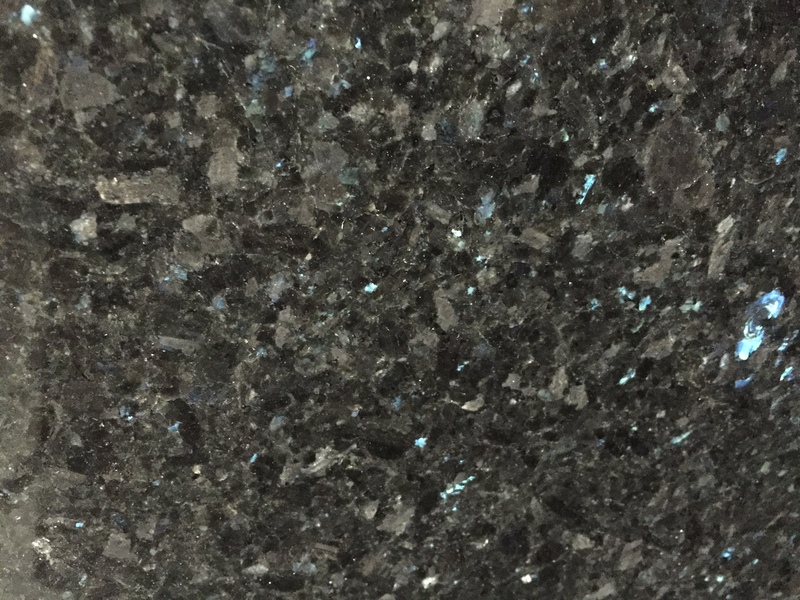 Blues in the Night Granite is available in thicknesses ranging from 30mm and 20mm, so alongside blues in the night granite worktops, you also have options for a range of applications including blue granite wet rooms, blue granite window sills, blue granite cladding and much more. We also provide an extensive range of granite edge profile options, all clients are offered a pencil or chamfered edge profile included within all of our pricing. However, if you prefer something unique such as bull-nose edge profiles, ogee edge profiles, waterfall edge profiles or the latest shark nose edge profile, our state of the art CNC machinery can create these effortlessly. 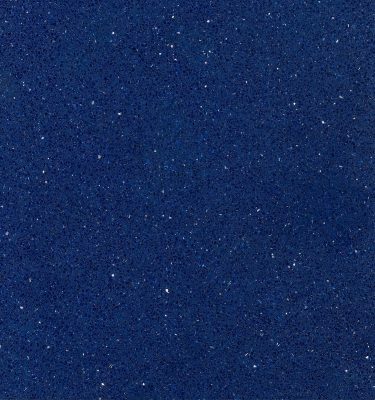 Blue Granite worktops are very popular and there are a selection of both blue quartz and blue granite worktops to choose from. If you are undecided between blue quartz worktops vs blue granite worktops then why not book in a site visit with one of our specialists, you can expect to experience the finished look with sizeable samples and unhurried professional advice. We appreciate granite is a natural material so shades and patterns can change from batch to batch. We would always recommend viewing a large slab of your Blue Night Granite and perhaps reserving your slabs if you find a particular shade or pattern which suits. If you would like to view slab formats of Blue natural granite, we can arrange for this by prior appointment too. For free samples and alternative colour options please call our team on 0121 630 2251 or contact us here.